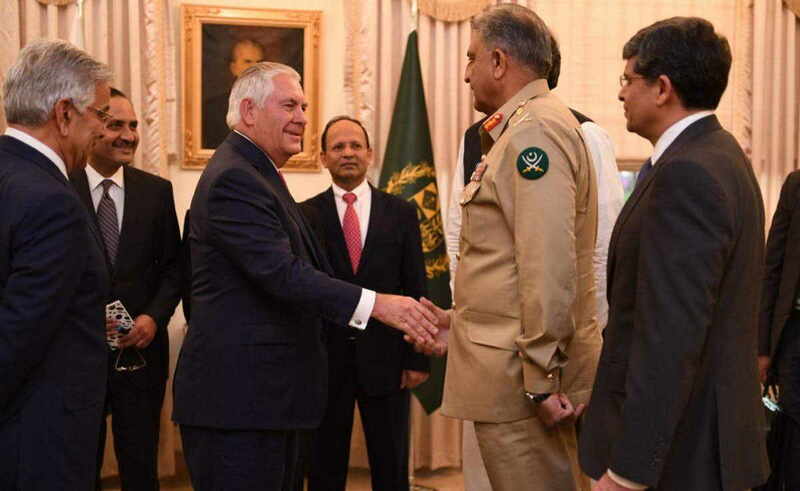 The mounting US pressure on Pakistan under President Donald Trump’s new South Asia Policy is being discussed as to what exactly Islamabad needs to do to satisfy Washington’s “do-more to eliminate terrorism bullying”. The debate has intensified after Secretary of State Rex Tillerson’s short visit “sandwiched” between his trips to Afghanistan and India. The daily suggested to Pakistan government that , “While there must be no let-up in that aspect of the war against militancy, it is time for the state to consider how to embark on the next phase towards the total elimination of terrorism, militancy and extremism in the country. Only a zero-tolerance policy towards militancy will achieve true peace for Pakistan,” it added. This indicates the realization on the part of Pakistani media about the trouble they were facing due to the mounting diplomatic pressure. Both India and Afghanistan have been complaining of Islamabad’s support to cross border terrorism in their territories. Asif said that Pakistan has told Americans to allow their policymakers, and not their military leaders, to devise Afghanistan policy as military solution has failed and a political solution is needed. “Their failures over the past 16 years is before them,” Asif added. The US led northern alliance entered in Afghanistan in a short while after the 9/11 terror attacks in 2001. A six member team comprising of prime minister Shahid Khaqan Abbasi, foreign minister Khwaja Asif, interior minister Ahsan Iqbal, minister of defence Khurram Dastgir Khan, foreign secretary Tehmina Janjua, chief of army staff General Qamar Javed Bajwa and DG ISI Lt. Gen. Naveed Mukhtar met Rex Tillerson during his brief visit to Islamabad on Tuesday..
Prime Minister Shahid Khaqan Abbasi reiterated in his public remarks to Mr Tillerson that Pakistan is committed to the fight against militancy and playing its role to re-establish peace and security in the region.